Lough Erne Resort is Northern Ireland's first 5-Star AA and NITB resort featuring 120 rooms and suites. Whether you are planning a romantic getaway, corporate outing, family trip or holiday with friends, at Lough Erne Resort you'll find magnificent accommodations with access to golf, spa services and our gourmet special offers. 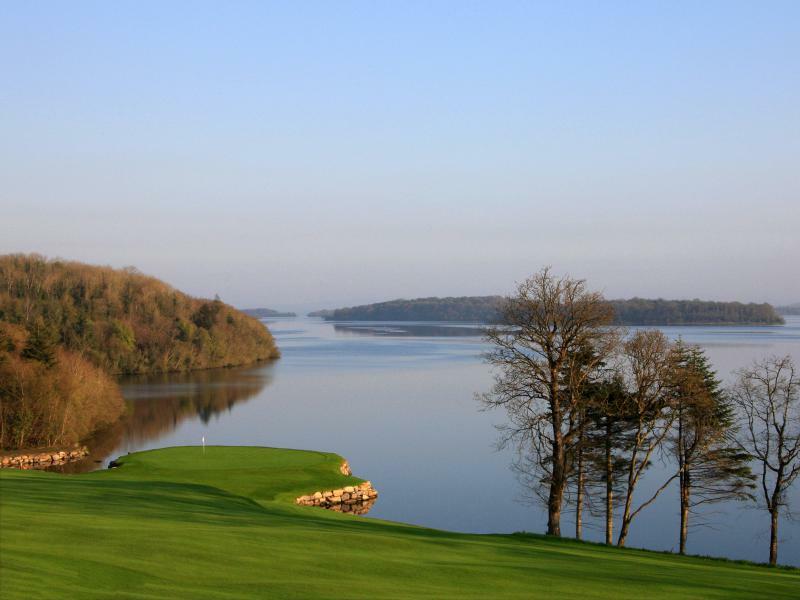 Lough Erne Resort provides the ultimate 36-hole golf experience. Home to two Championship Golf Courses; the awarding winning Faldo Course and Castle Hume Golf Course and Golf Academy with state of the art facilities. Click here to book your tee time. Guests can enjoy a unique Thai inspired experience from the luxury treatment menu using award winning ESPA products. The Thermal Suite and Infinity pool at The Thai Spa are complimentary for hotel guests. Catering for up to 280 guests host a lavish or intimate wedding reception, civil ceremony or partnership at one of Ireland’s most romantic wedding destinations. Download Wedding Packages. Championship GolfThe 36-hole golf experienceLough Erne Resort, provides the ultimate 36-hole golf experience with two championship golf courses including the renowned Faldo Course and parkland Castle Hume course. The Thai SpaAuthentic Thai ExperiencesAwarded Northern Ireland’s Leading Spa Resort at the prestigious World Travel Awards 2016, The Thai Spa offers both authentic Thai spa experiences and luxury Espa treatments. 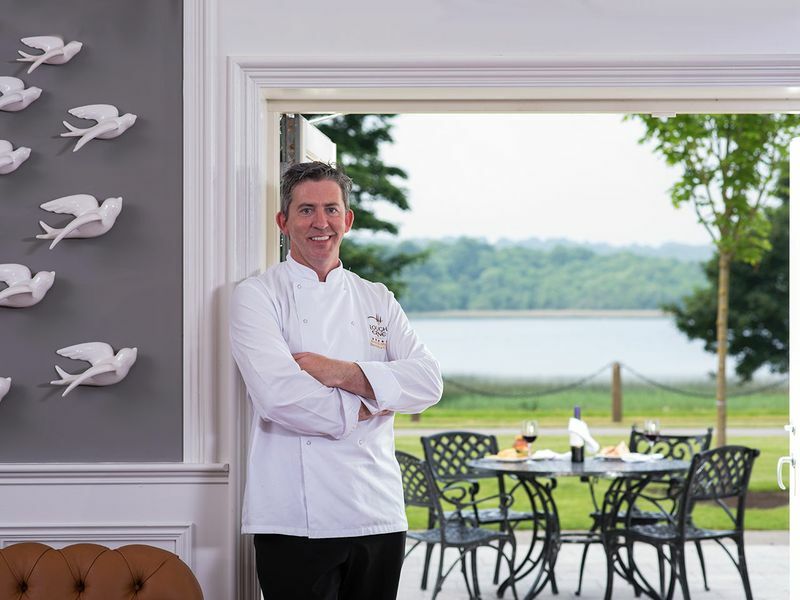 Hotel Restaurant of the YearTastes of Lough Erne by Noel McMeelDiners can enjoy a variety of unique experiences from divine dining in The Catalina Restaurant awarded 3 AA Rosettes to casual dining in The Loughside Bar & Grill or light bites in The Blaney Bar. 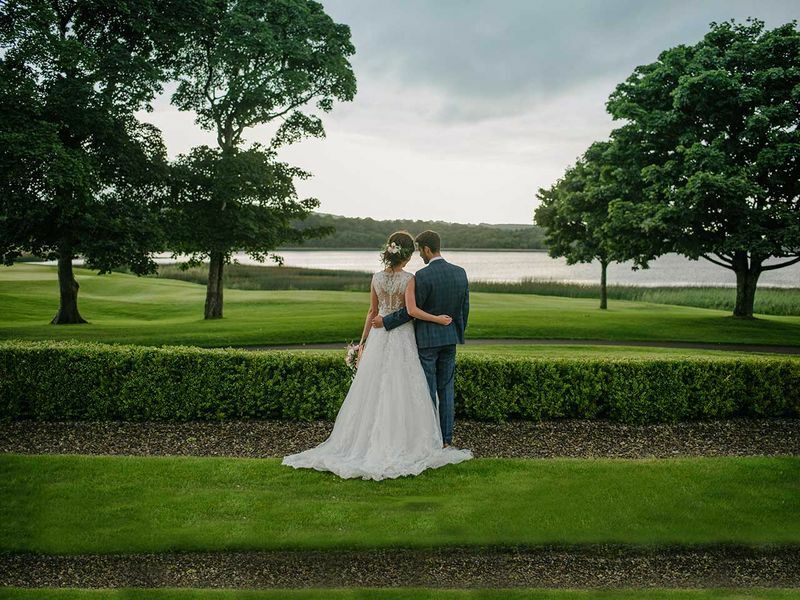 Newly Engaged?Discover Ireland's Dream Wedding VenueComprising stunning lake views, world-class food, five star service and striking and unique architecture, the Lough Erne Resort is the perfect match for couples. Please click here to get directions from your location. Located on the outskirts of Ireland's only island town Enniskillen; within a 90 minute drive of Belfast International Airport (Aldergrove); Belfast City Airport (George Best); Dublin International Airport, Sligo and City of Derry Airport as well Belfast and Dublin Ports. This beautiful Fermanagh hotels luxury facilities, combined with warm, friendly and attentive service make Lough Erne Resort a unique destination to truly escape with family and friends.